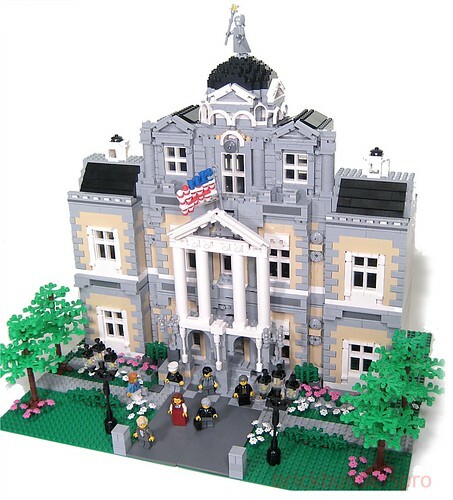 Brick Town Talk: Lego Modular State Capital - LEGO Town, Architecture, Building Tips, Inspiration Ideas, and more! Lego Modular State Capital, originally uploaded by lgorlando. A little bit overdue, but this State Capital by lgorlando is just magnificent (and I apologize for overlooking it.) The detailing in architecture and well-placed color use makes for a fantastic creation. Maybe it's just me, but I'm willing to bet this could jump start anybody's building desire. Keep up the well built creations!